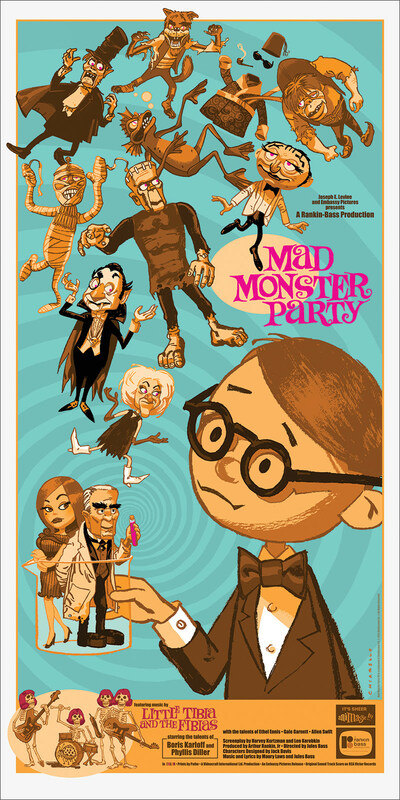 Mondo will have Frankenstein & Mad Monster Party movie posters available soon. See below for details. On sale Thursday, October 15th at random time HERE. 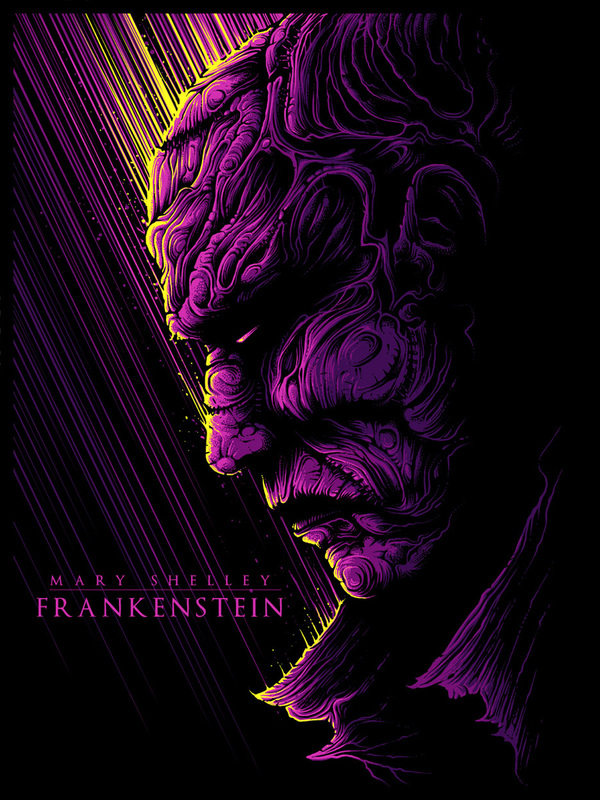 Dan Mumford has a new print available titled, “Frankenstein” via Art V Cancer. 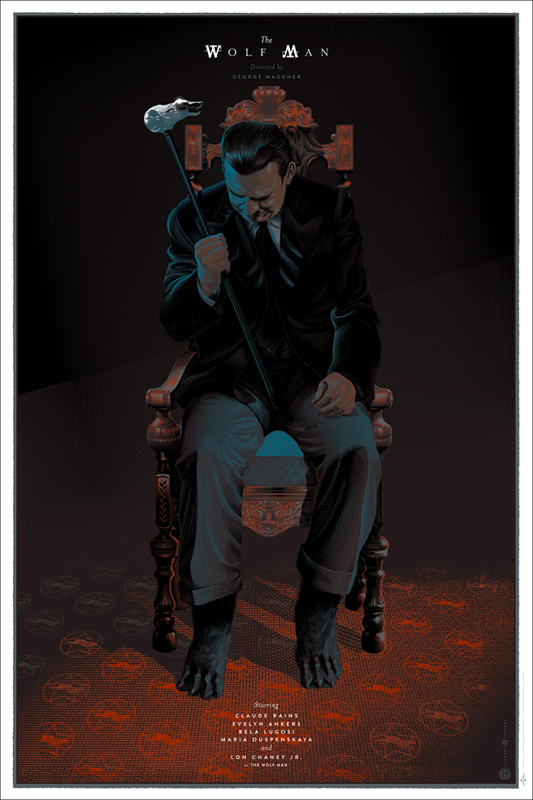 It is an 18″ x 24″ 5-color Screenprint, signed/numbered edition of 50, and cost $40. 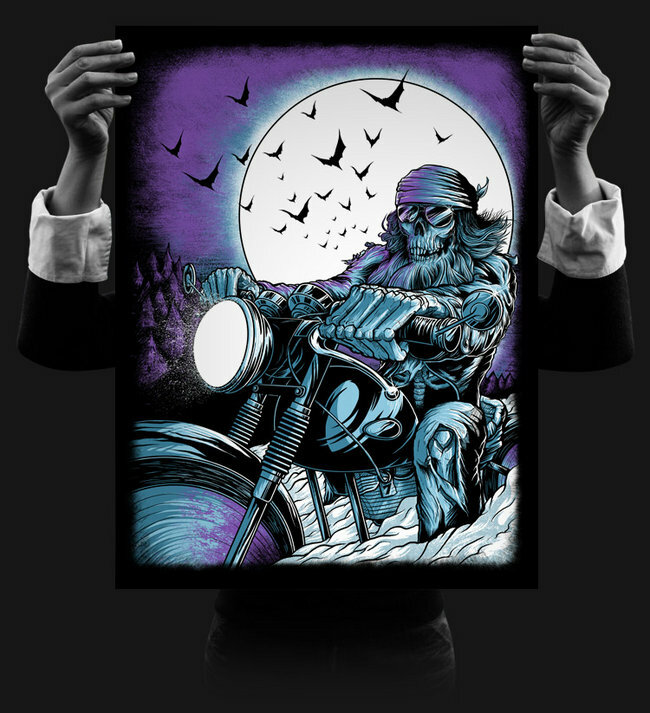 Matthew Johnson has 2 new prints available titled, “Midnight Rider” and “Undying Love”. See below for details. 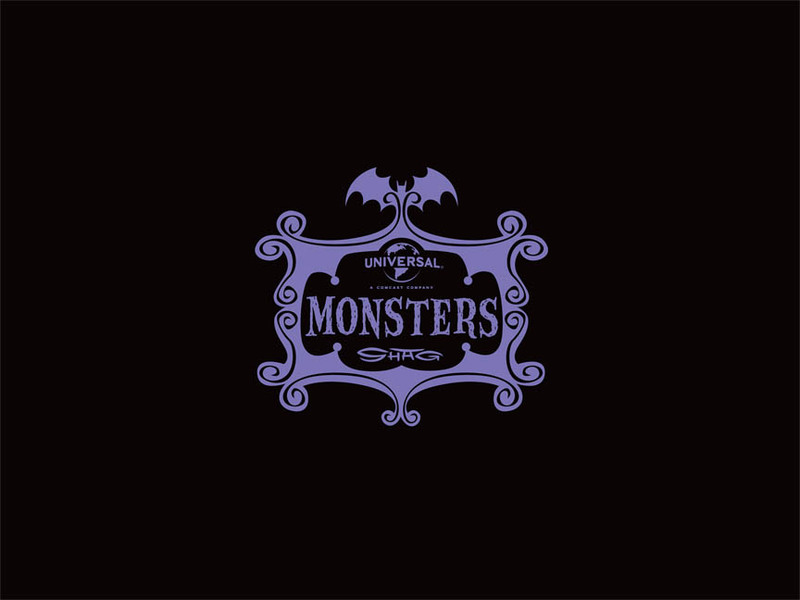 On sale now HERE. 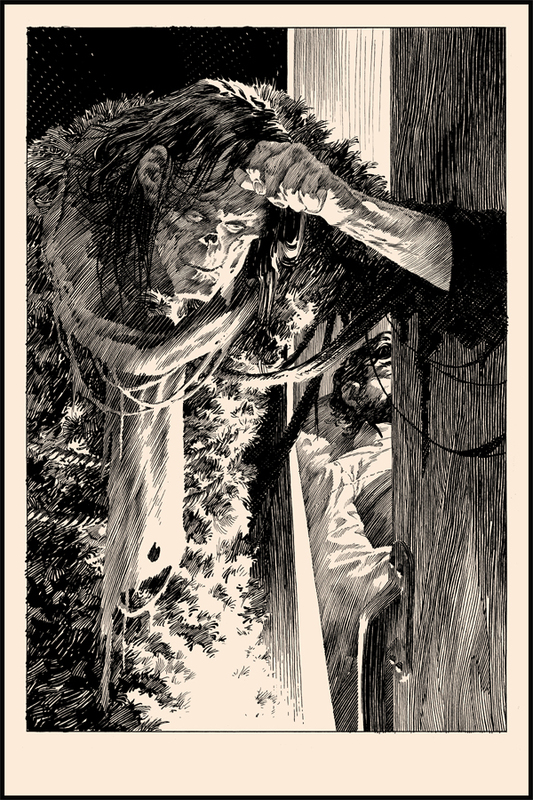 Nakatomi will have a 2nd set of print suites by Bernie Wrightson available soon. 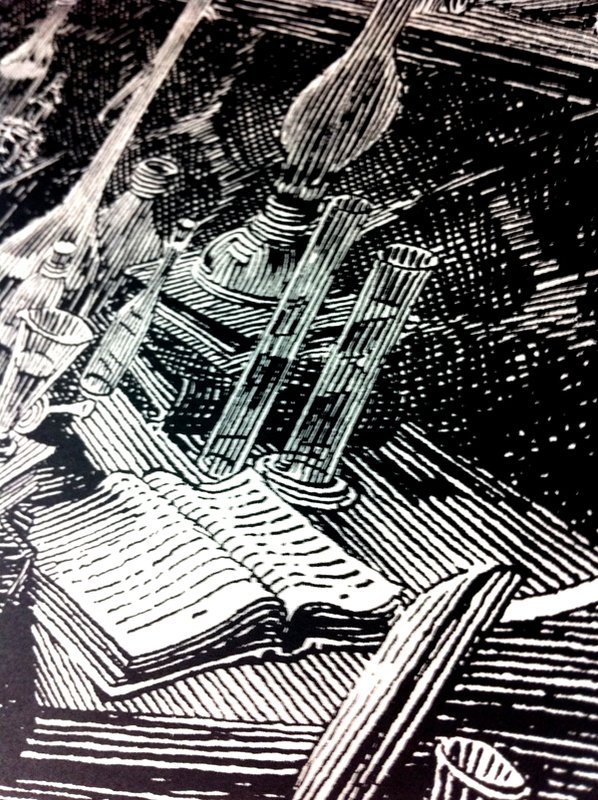 It is a set of (6) 20″ x 30″ Screenprints, signed/numbered matched sets of 50 will be available for $200. On sale Wednesday, November 6th at 2pm Central (12pm PST) HERE. 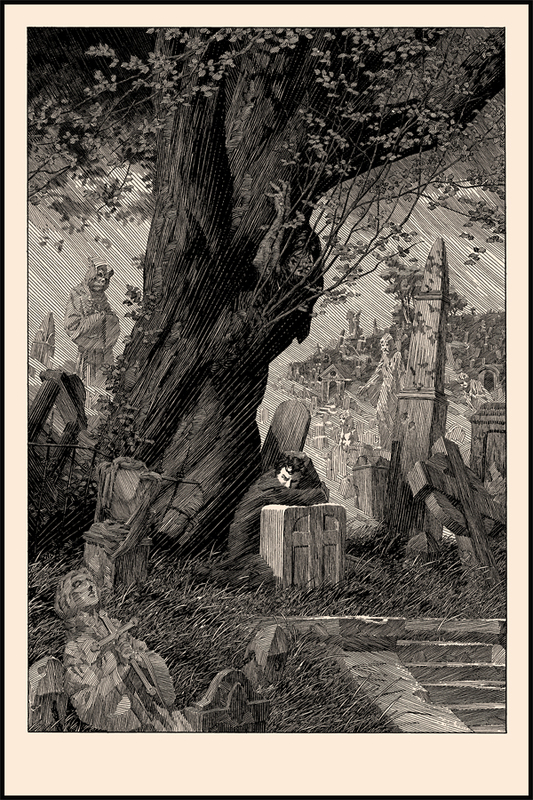 Epyon5 will have a new print available for Halloween titled, “You Don’t Bring Me Flowers Anymore” via Galerie F. It is a 16″ x 24″ Screenprint, signed/numbered edition of 50, and cost $40 ($30 if ordered on Halloween). 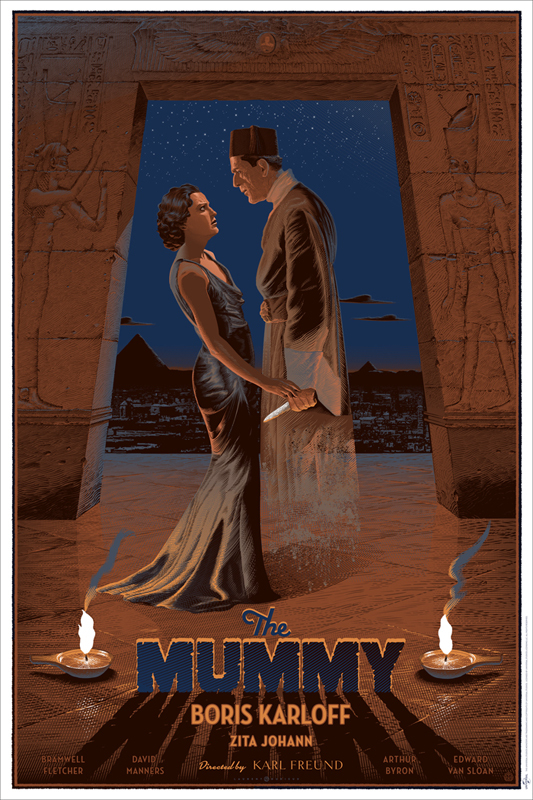 On sale Thursday, October 31st at a random time HERE. 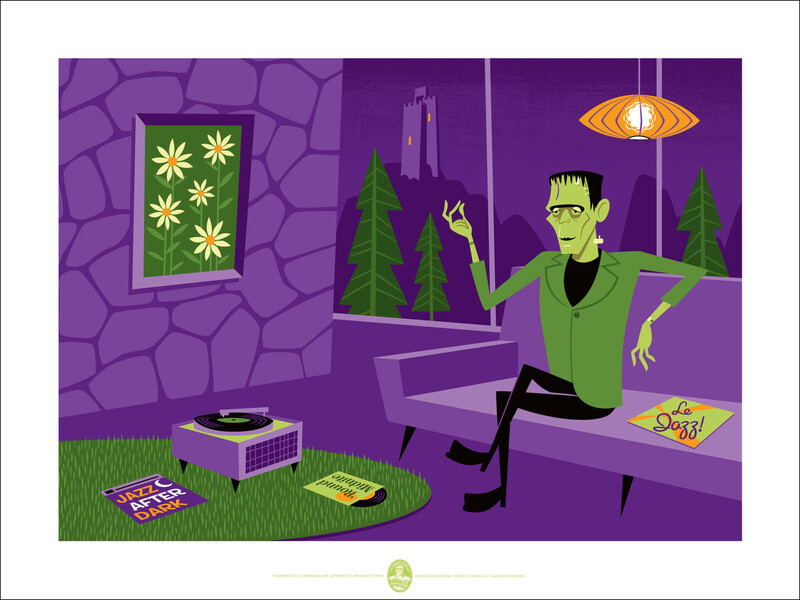 Artist SHAG has crafted a Folio of 8 stunning individual 18″ x 24″ prints, plus one rather mind bending 2-print splash page panoramic that won’t soon be forgotten. 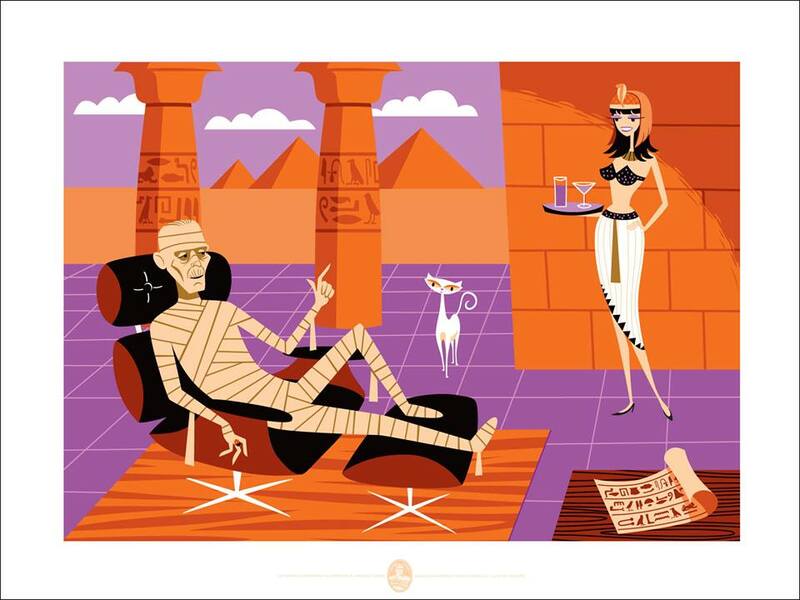 Each and every print will be individually numbered and signed by SHAG himself, each measuring 18″ x 24″ with full borders and an image area of 14.5″ x 20.5″ and with all prints being individually screen printed. 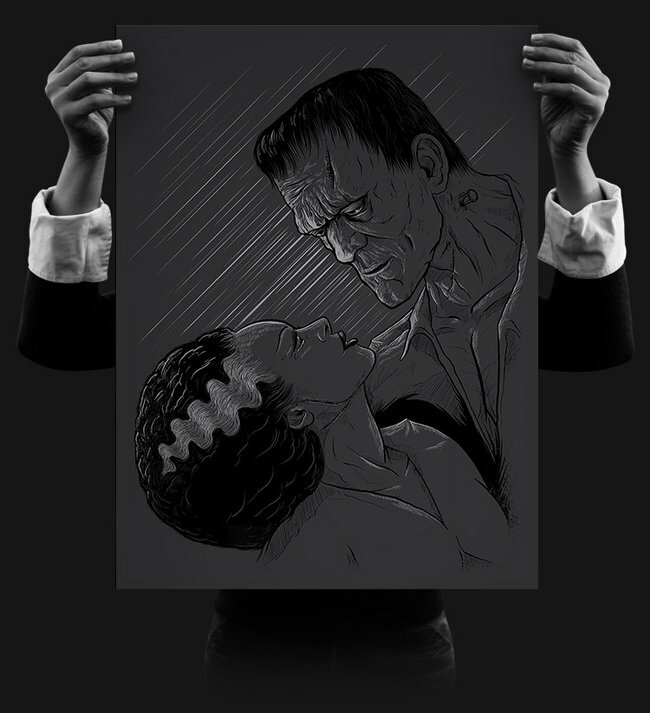 This extraordinary Folio, which will come in its own custom SHAG-designed case, complete with COA, will be exclusively limited to just 150 Standard Edition Folios. 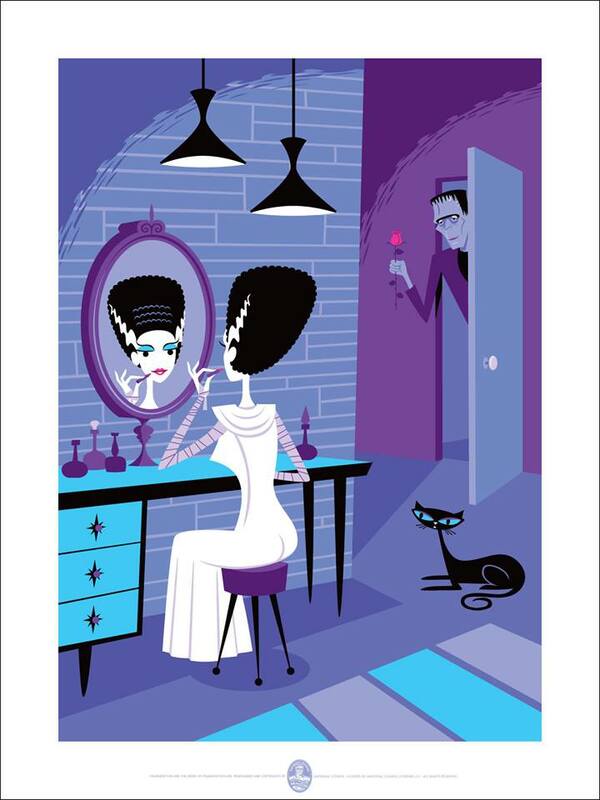 The Standard edition 10-print “Universal Monsters x SHAG” Folio will price at $1200, while an extremely limited SHAG 10-Print Variant Folio Edition will price at $1900-with only 50 of these select Variant Folio editions available. It will first be made available for purchase to buyers of DHM’s prior SHAG release, who secured their advance purchase option then, and who will be notified by private email with a specific date (just upcoming) that they need complete their purchases by. 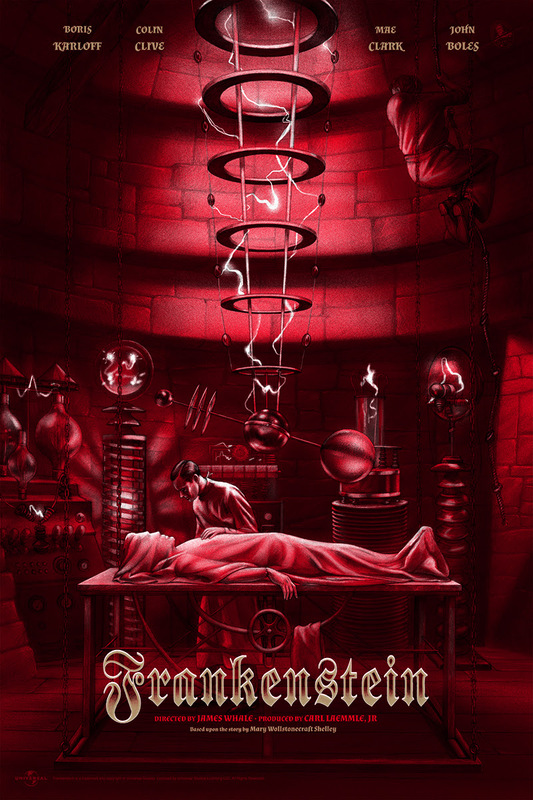 But beginning with today’s reveal, Dark Hall Mansion will also accept waiting list registrations for any potential remaining Folios which will be offered on a first come first served basis with details to follow, also by private email, to those registering with DHM. reserve buyers have been notified. 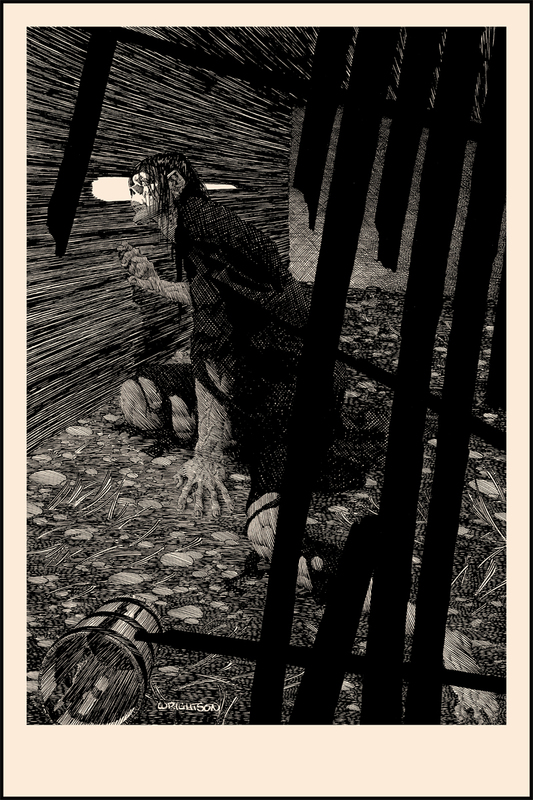 The final print in the ‘Frankenstein’ series by Bernie Wrightson is “Close Attention” via Nakatomi. 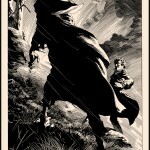 It is a 20″ x 30″ Screenprint, signed/numbered edition of 140 (30 available), and cost $50. On sale Tuesday, September 10th at 2pm Central (12pm PDT) HERE. 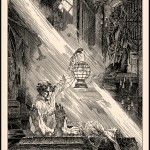 Next up in Bernie Wrightson’s ‘Frankenstein’ series via Nakatomi is “A Torrent of Light Into Our Dark World”. 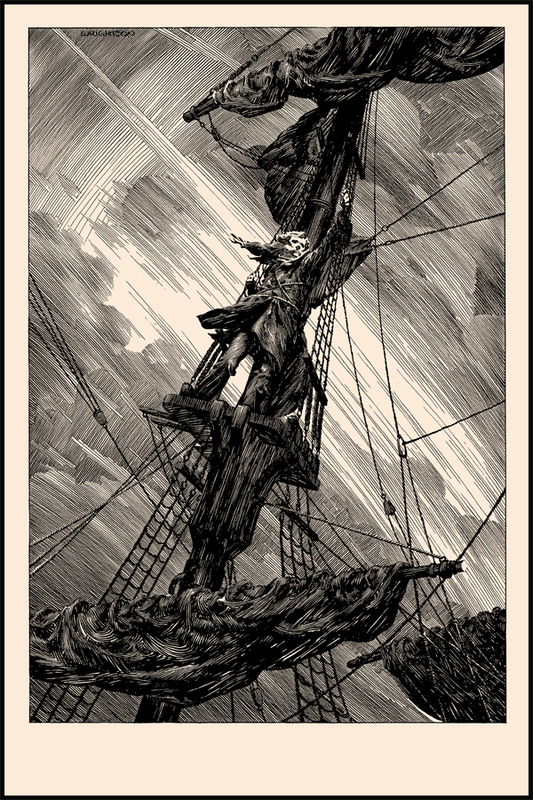 It is a 20″ x 30″ Screenprint and is a signed/numbered edition of 160. 110 of these prints are already shipped out to subscribers of the Frankenstein Series, leaving only 50 copies to sell to the general public. On sale Tuesday, July 16th at 2pm Central (12pm PDT) HERE. 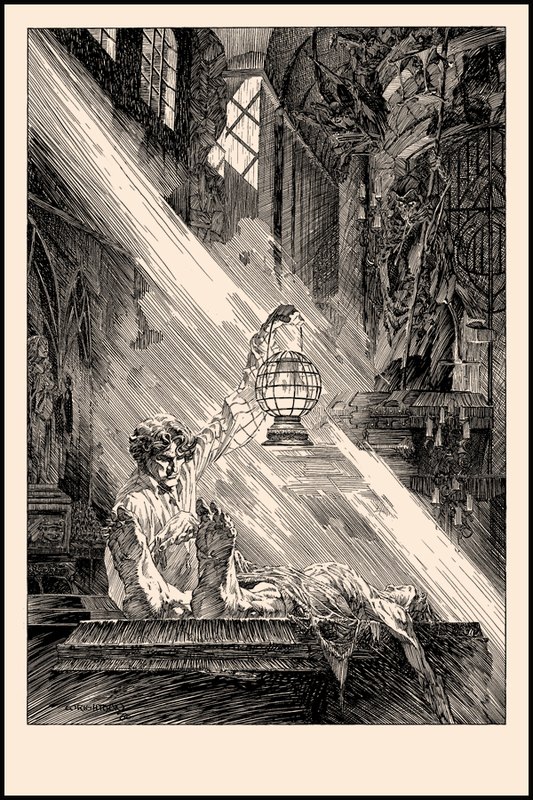 “A Torrent of Light Into Our Dark World” by Bernie Wrightson. 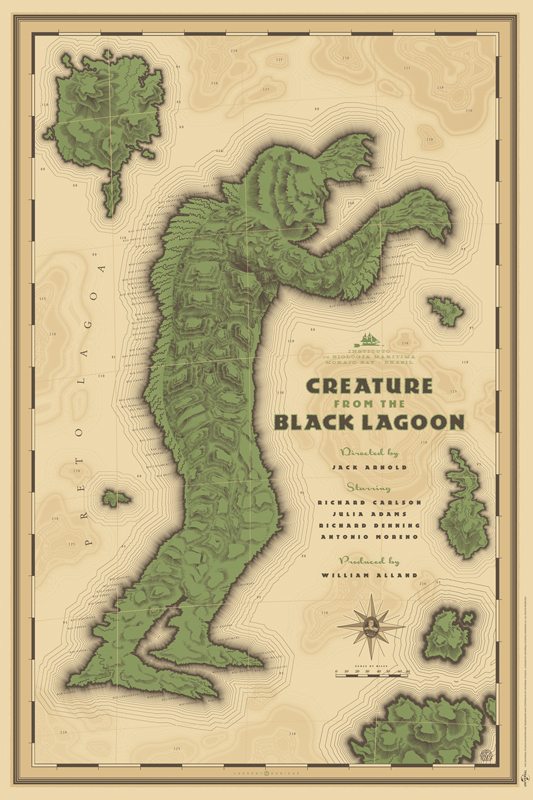 20″ x 30″ Screenprint. Ed of 160 S/N. 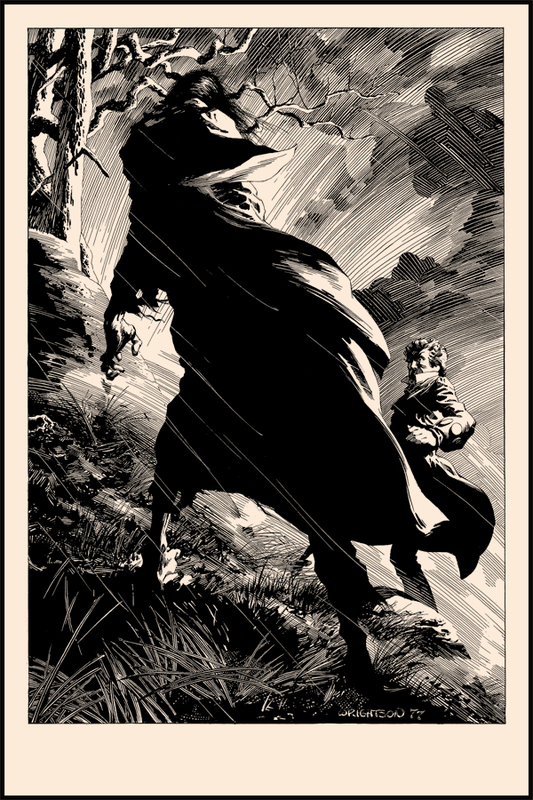 Bernie Wrightson is a legend of pen and ink. 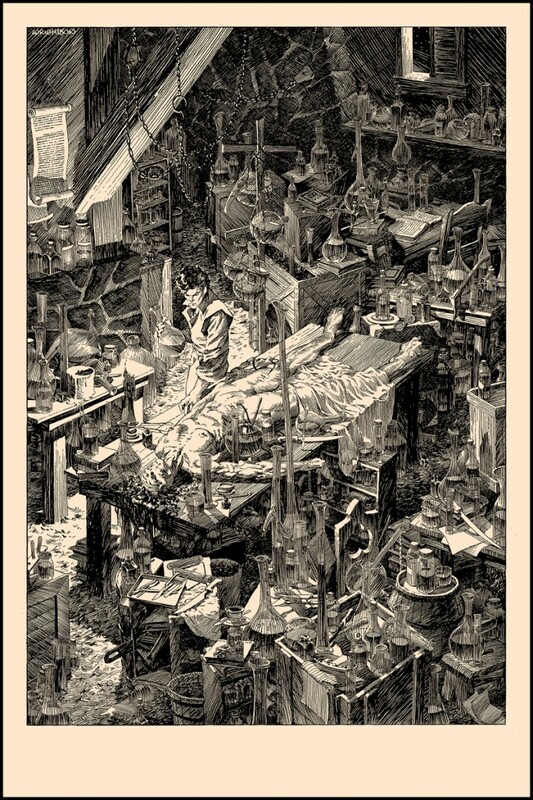 Having worked in comic books for over 40 years now, Wrightson is a legend in the industry, and an illustrator supreme. 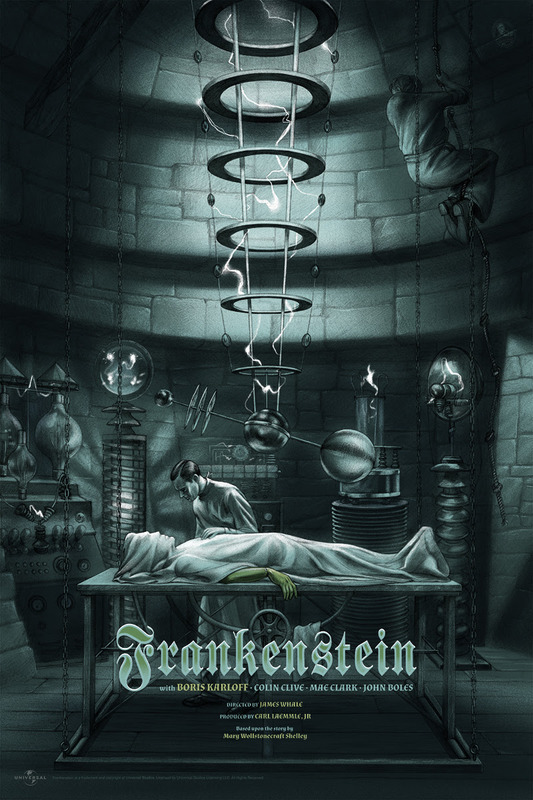 His illustrated version of the original Frankenstein novel by Mary Shelley was created over a seven year period, and originally published by Marvel Comics in 1983. 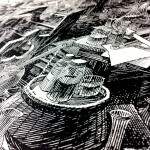 His attention to detail and painstaking linework has inspired a generation of illustrators working in comics, film, and has even left its mark on the world of screen printed art. 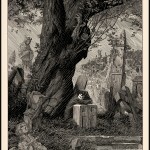 If you’re unfamiliar with his name- you have most certainly seen his work. 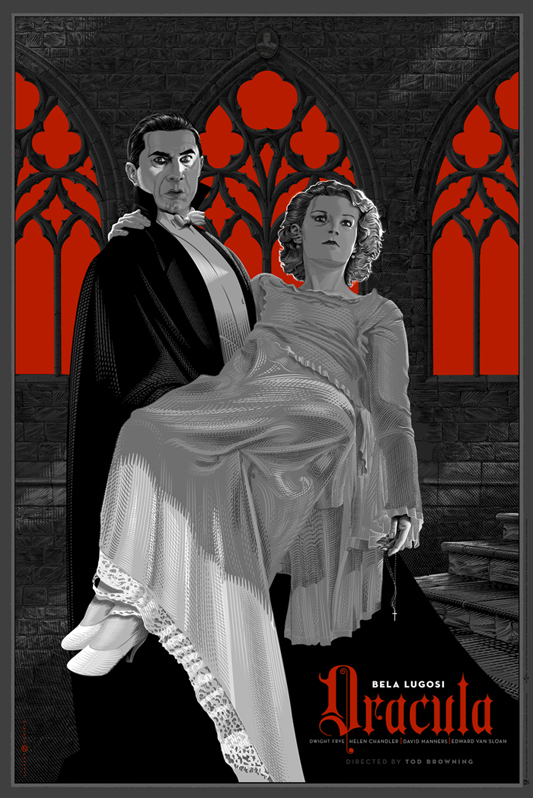 He has done creature design and concepts for such great films as Ghosbusters (notably- the Library Ghost), The Mist, and Serenity. 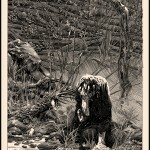 Wrightson’s comic work found itself animated in the original Heavy Metal movie, and his illustrations for Stephen King’s Cycle of the Werewolf novel helped propel the book to screen as Silver Bullet. 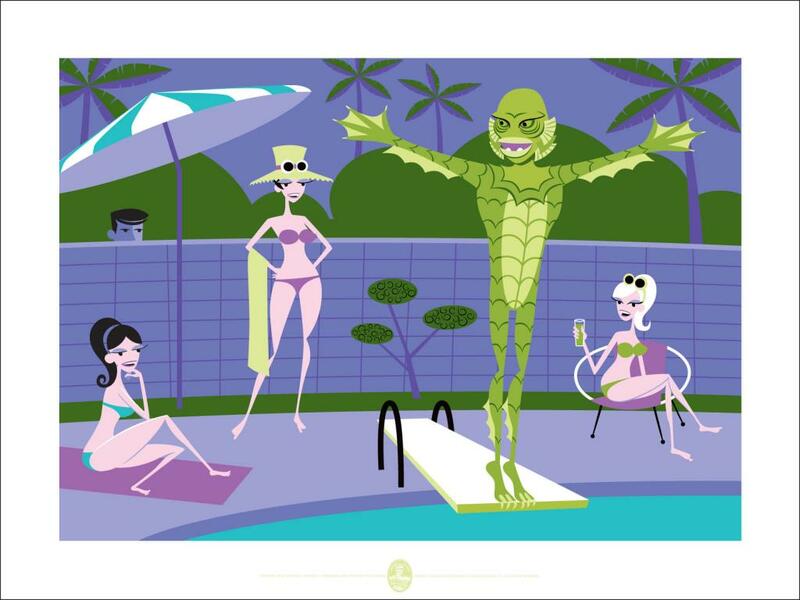 And he’s the co-creator of Swamp Thing! 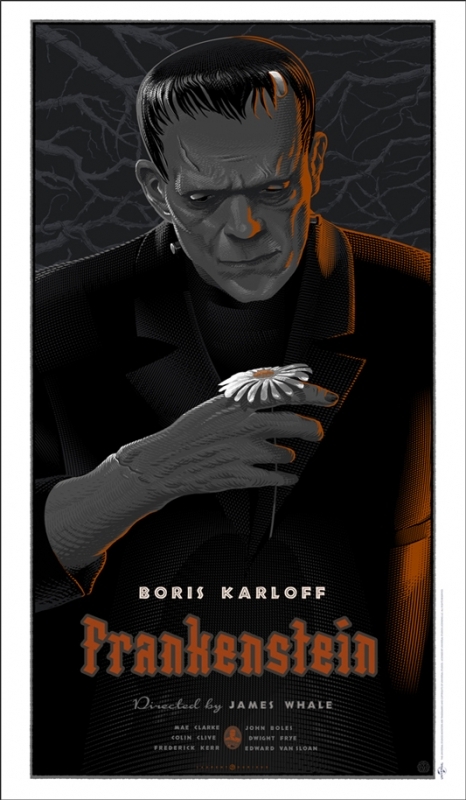 It is with great honor that Nakatomi can present the inaugural release in a “Frankenstein” series of high-quality slik-screen prints by Bernie. 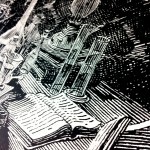 The original pen and ink drawings of this set are in art-collector’s archives around the world, owned by fans and artists and film directors alike. 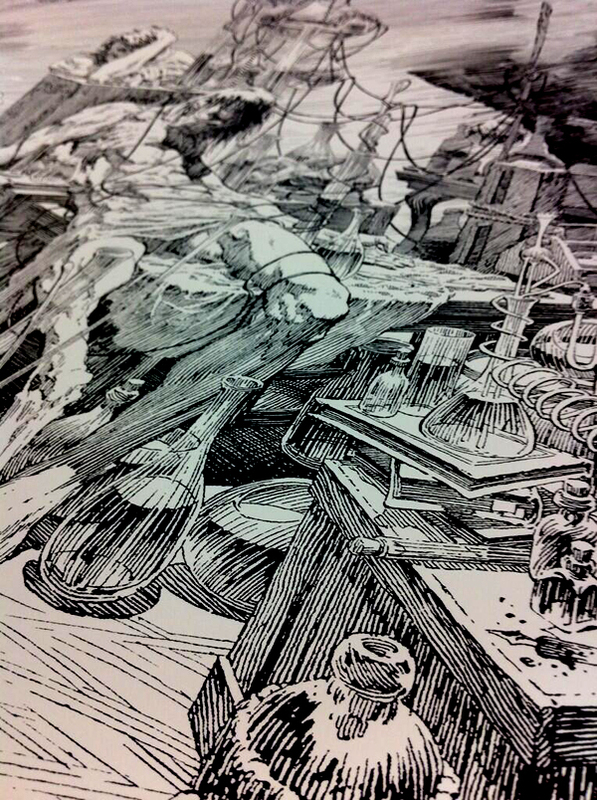 These prints are shot from scans of those originals- used in the 25th anniversary edition of the book. 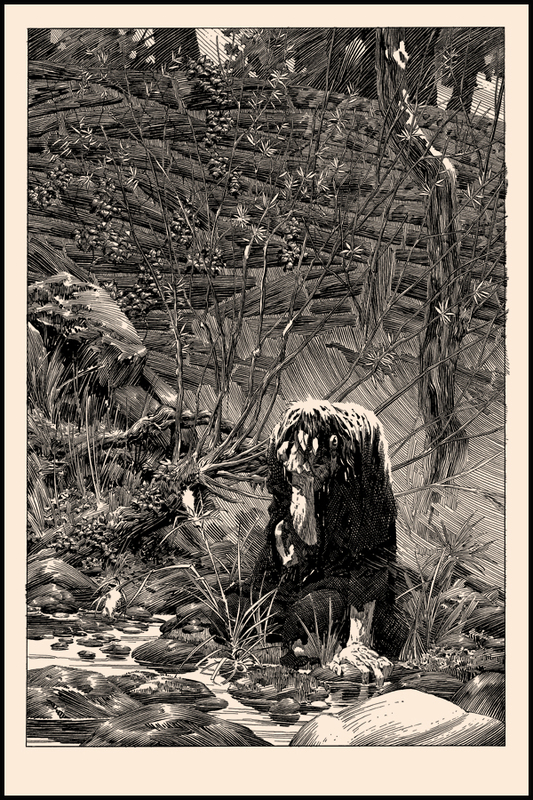 “A Filthy Process” is a 20″ × 30″ print on thick 130lb Cougar Natural Cover, signed by Bernie in a numbered edition of only 100. On sale Tuesday, March 12th at 2pm Central (12pm PDT) HERE. 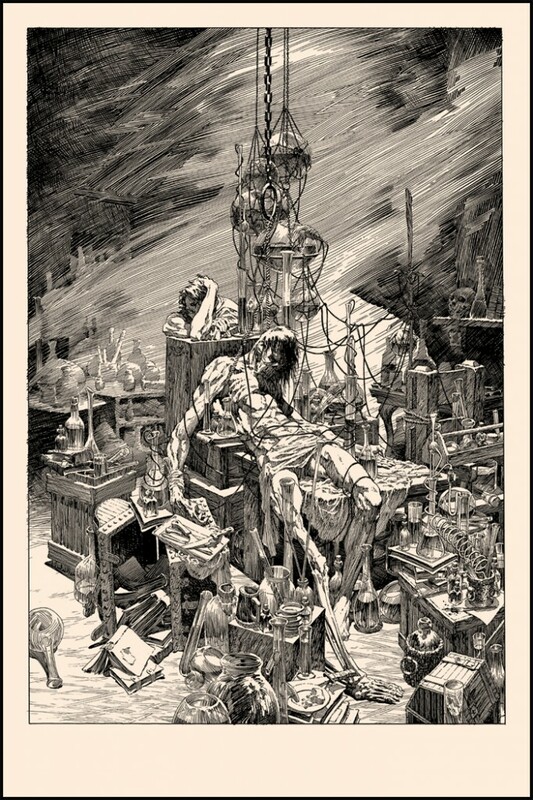 “A Filthy Process” by Bernie Wrightson. 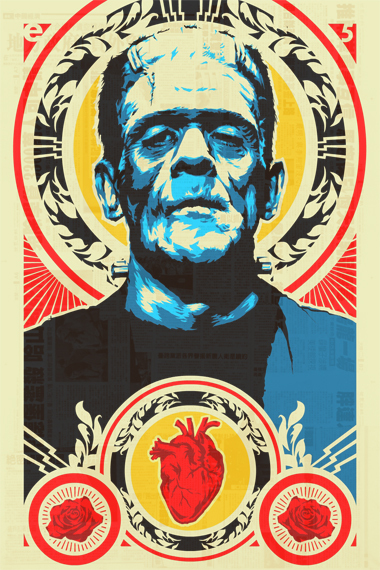 20″ x 30″ Screenprint. 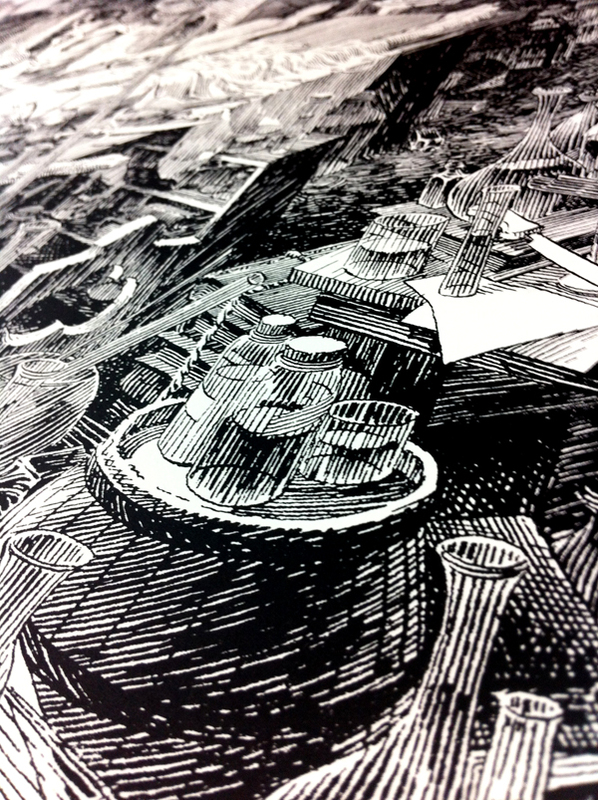 Ed of 100 S/N.